The lilly pillies are a large genus of more than 500 species with 52 of them known in Australia. 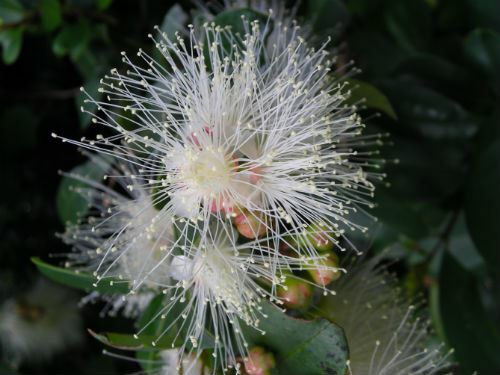 Syzygium paniculatum dwarf form is a great screening plant. It grows naturally in rainforests between Bulahdelah and Jervis Bay and is listed as a vulnerable species in the wild. The dwarf form I grow in my northern Sydney suburb of Westleigh garden is often sold under the name of ‘Magenta Cherry’. I have a hedge of them planted one metre apart (from the centre) and they all grow to about 3 metres tall. They make very effective screening plants as they are bushy to the ground and can be pruned to maintain height. I do give them supplementary water in extended dry periods in summer and overall I would rate them as quite hardy especially if the garden is well mulched and you fertilise them with Blood and Bone in spring and autumn. They grow best in a sunny position as this shows the colourful new growth to the best effect. When they are grown in a shady/filtered light position they are often susceptible to attacks of pimple gall and white scale (although I have not found this to be the case with my plants). 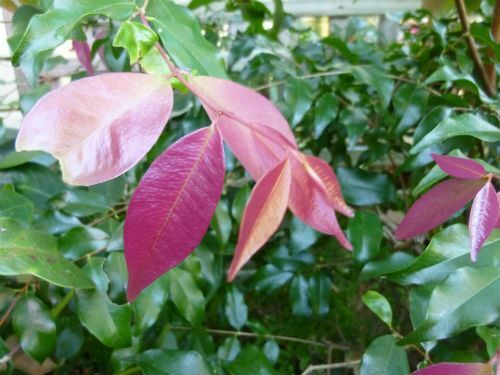 The only guarantee that the new foliage will not be disfigured by the pimple gall is to select alternative species such as forms of Acmenas, Syzygium luechmanii and most Syzygium australe cultivars as they are resistant to it. Attractive white fluffy flowers appear in summer and are followed by large, fleshy, magenta-coloured fruits. These are oval in shape and around 20 mm long and contain a single seed. 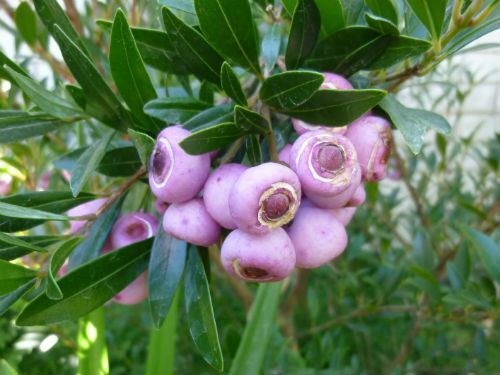 The fruits are edible and are often made into jams. 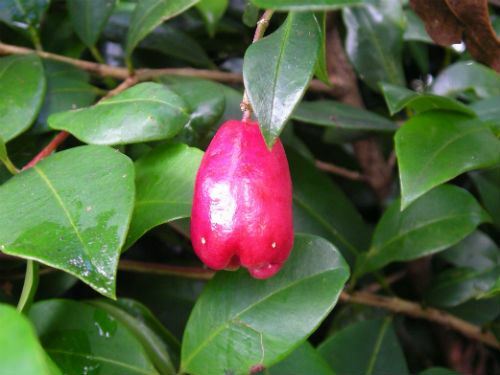 Syzygium: from Greek syzygos, joined, referring to paired leaves and branchlets of a Jamacian species. paniculatum: inflorescences that form at the end of each branch, and it is this feature from which the species derives its name (i.e. paniculate).